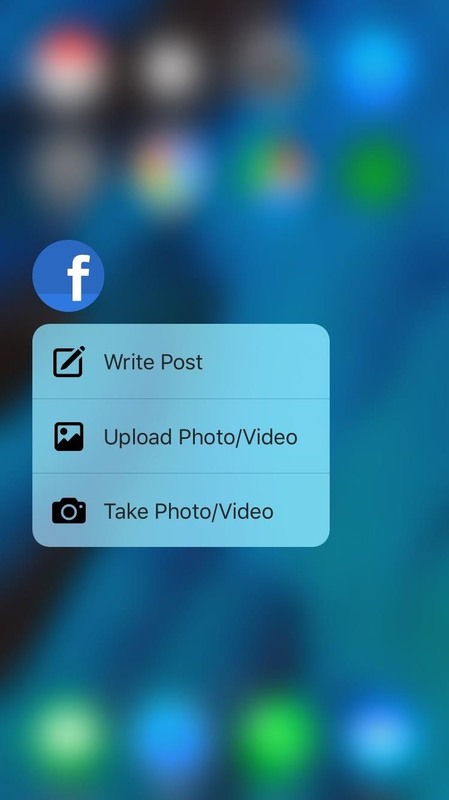 While older iOS devices don't have 3D Touch capabilities, there is a way to take advantage of Quick Actions menus on the home screen, but you have to have a jailbroken iPad, iPhone, or iPod touch running iOS 9 to do it. Instead of adding more pressure to the screen to activate Quick Actions, this tweak replaces it with a mere swipe up on the icon. 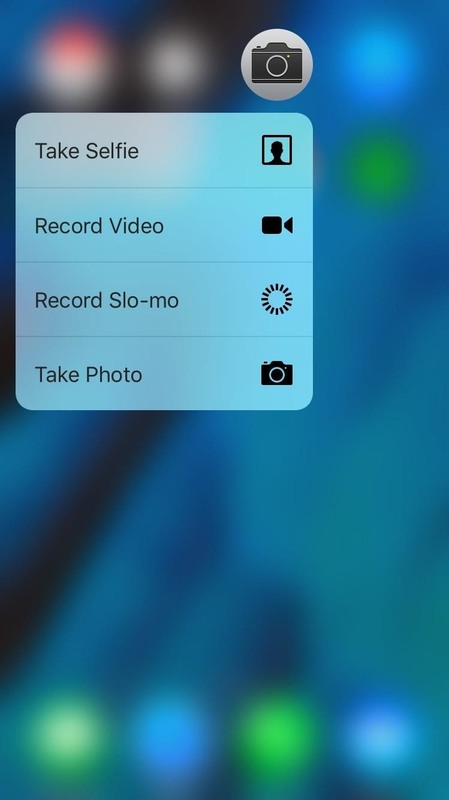 As previously stated, in order to simulate 3D Touch to open Quick Actions on the home screen, your device needs to be jailbroken and running iOS 9. If you're not jailbroken yet, don't worry—it's an extremely simply process. Head into the Cydia app to search for and install the free tweak called Forcy from the BigBoss repo. After installing it, you'll need to enable it, so skip to the next step for instructions on that. Go to the Settings app on your iOS device, scroll down and select Forcy, then make sure it's enabled. The default gesture to bring up Quick Actions is swipe up on an app's icon, but you can change it to a long-press if you want. However, if you edit your home screen or delete apps, you'll then have to use the swipe up gesture to do so, which may be a little jarring, so I recommend not toggling "Swap Invoke Method" on. 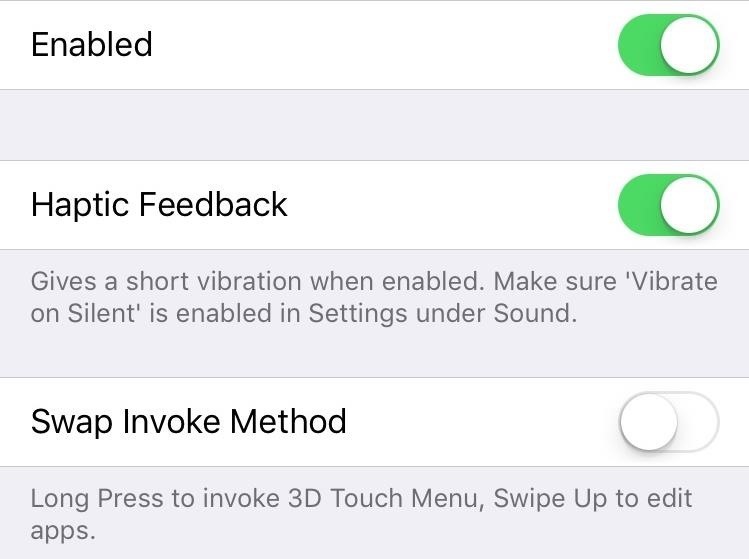 You can also disable Haptic Feedback from this menu if you don't like the vibration when using it. Although it's exclusive to the app icons, I actually prefer this swipe gesture over the official 3D Touch press on the newer iPhone models, which I've tested out; swiping up feels much quicker than forcefully pressing down on the display.